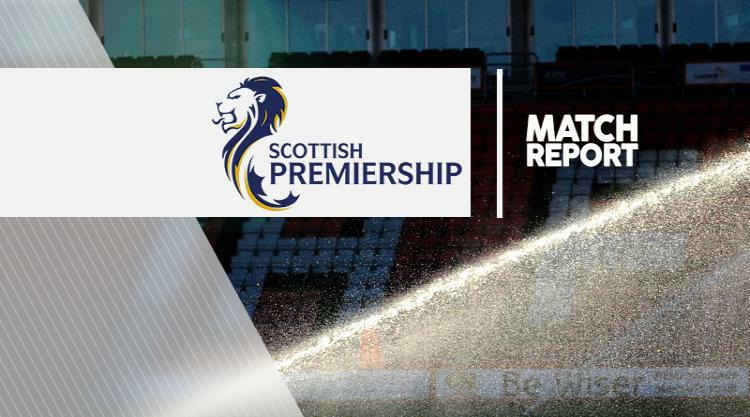 Partick Thistle keeper Tomas Cerny saved a Scott Sinclair penalty as Ladbrokes Premiership champions Celtic dropped points for only the third time this season in a 1-1 draw. The 28-year-old Hoops forward scored a hat-trick on Sunday at Tynecastle as Brendan Rodgers' side clinched their sixth successive title with a thumping 5-0 win over Hearts. A much-changed Celtic side struggled to reach those heights again in the first half but four minutes after the break Sinclair confidently converted a Patrick Roberts pass for his 22nd goal of the season. Jags striker Ade Azeez dramatically levelled in the 63rd minute and the Maryhill men remained level when Cerny pushed away Sinclair's penalty two minutes later, holding out to gain an invaluable point. The Parkhead men remain unbeaten domestically this season with 28 wins and three draws in league - previous draws against Inverness and Rangers blotting an almost-perfect copybook - while sixth-placed Thistle stretched their unbeaten run in the league to seven games. Rodgers was certainly utilising his squad as he was once again without strikers Moussa Dembele and Leigh Griffiths due to respective hamstring and back injuries. Cristian Gamboa, Emilio Izaguirre, Erik Sviatchenko, Nir Bitton and Eboue Kouassi came in while skipper Scott Brown, Kieran Tierney, Stuart Armstrong and James Forrest were left out. Midfielder Tom Rogic was on the bench after a three-month absence due to an ankle problem, while 18-year-old midfielder Andrew McCarthy started for the first time for the Jags. Sinclair had a goal-bound drive blocked by Thistle defender Liam Lindsay and Bitton headed an Izaguirre free-kick over the bar, during inevitable early Hoops pressure. The visitors grew into their defensive mode as the first half progressed and Cerny's first save in the 38th minute was comfortable, coming from Roberts' curling drive from the edge of the box. He was called into action seconds before the interval when he did well to parry a long-range effort from Bitton but the half-time whistle brought a merciful end to 45 minutes of monotony. However, in the 49th minute, as they had done at the weekend, Roberts and Sinclair combined to great effect, the latter nipping in to take a through ball and directing it past Cerny. The former Manchester City and Aston Villa attacker had scored the only goal of the game when the teams met at the same venue in December. However, moments later a Christie Elliott cross from the right was smartly tucked in at the near post by Azeez, to the surprise of most inside Celtic Park. Sinclair was handed the chance to restore Celtic's lead two minutes later when Thistle's Callum Booth fouled Gamboa inside the box but Cerny dived to his right to parry the penalty wide. As rejuvenated Partick broke again, it took a saving tackle from Celtic defender Jozo Simunovic to deny Azeez a second. The home side's pressure intensified but they found Partick Thistle determined to hold on to the precious point.